Urban Armor Gear cases are ones we are no strangers to. They have given many a case for us to review, and we have two in the UAG series we’ve reviewed before. This time, we review the Plasma case for the iPhone XS Max, and the Plyo case for iPhone XR. As with all the other UAG cases, they drop test them to military standard. This one comes in four colors- Ice(clear), Ash(Gray), Cobalt(Blue) and Magma(Red). They are all translucent, so you can see through them still, but they offer a cool and rugged look to your phone with the armor shell. 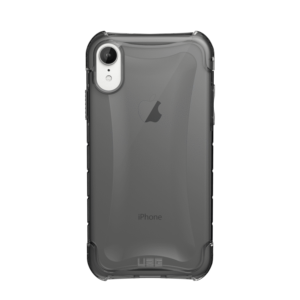 For $39.95, you can buy this case that is lightweight and compatible with Apple Pay and wireless charging, but still tough and rugged. The ports are easy to access, and the buttons are oversized and tactile. The bumpers on the edges are scratch resistant, and the screen is surrounded for protection if you place it face down. 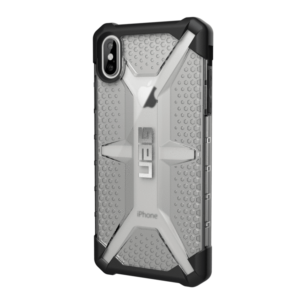 This case looks basic, but it still offers the ruggedness of UAG cases with air soft corners and shock absorbing bumpers. It’s light as a feather, and you can charge your phone wirelessly and use Apple Pay. I have the Plyo series for my Google Pixel 3 phone, and I really love it. This style comes in Ice, Ash, Glacier, Crimson and Pink. This one also costs $39.95. As with the other case, this one also has an edge to protect your screen. Both these cases come for many different phones. These were the review models TechnoMark was given at CES 2019 to review. No other compensation was given for our fair and unbiased evaluation.